Two years ago this November I walked that last longest mile with my bird dog Kota. 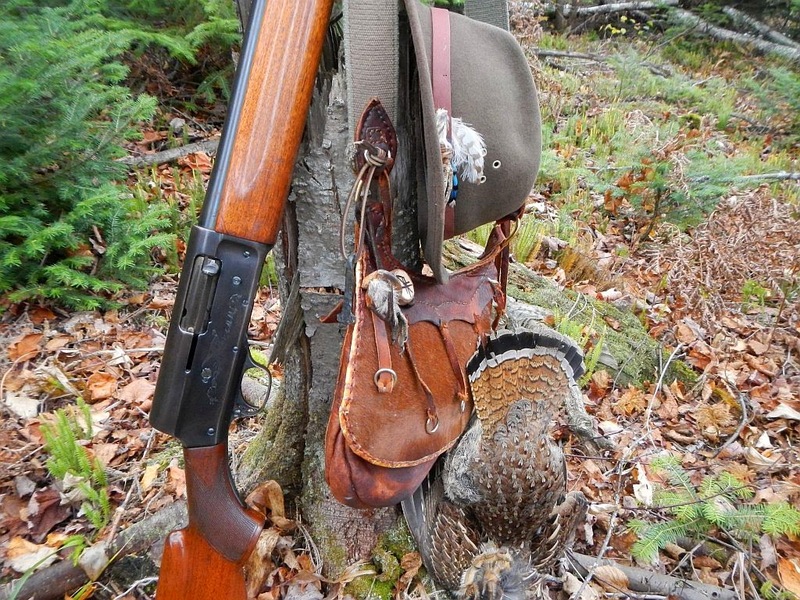 I have not found it in me to get another yet, so my autumns are now filled with walking the grouse trails alone. Each time I go I find memories and sometimes birds. Kota was one of 'those' dogs, willful, dedicated, rambunctious and so full of energy it was sometimes impossible to end a day in the field. He was a constant woods companion, a companion in all things and all ways with the greatest heart of any dog I've ever met. I miss that old dog. These days I cruise the edges of the pines, aspen and birch stands along the old logging trails. 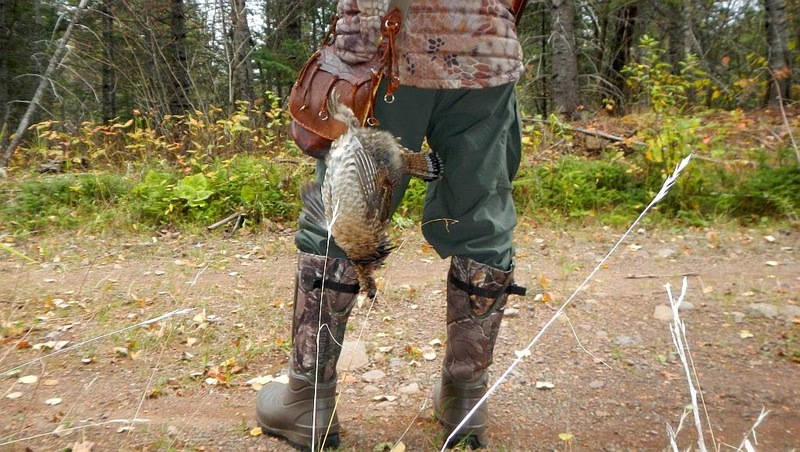 I find grouse where we always did, but now they don't hold because of the dog. If they see me coming they either run off or flush before I am in range. I have to hug the cover, move slower, I have to be within their danger zone before they realize I'm there. 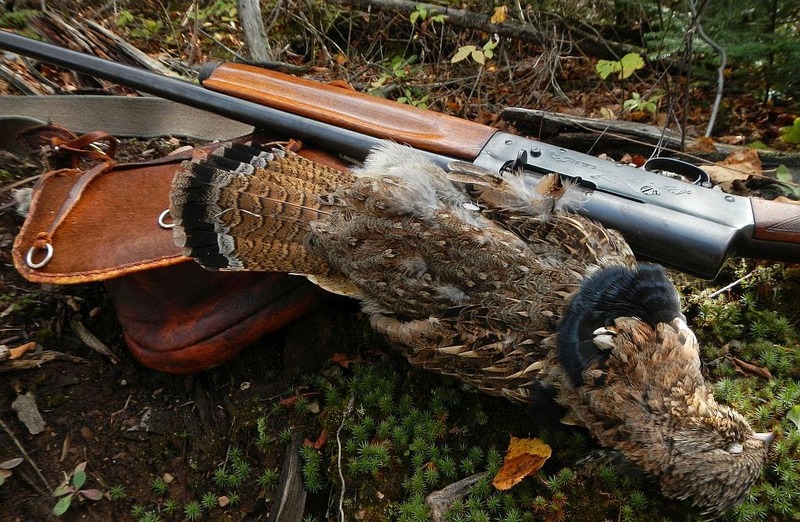 Then with thunderous noise they flush, pounding the air to gain altitude, as they climb I bring the gun up and as grouse do they'll break right or left, they don't fly straightaway very often. After the break I've usually got a bead and the old bird hammer detonates, if luck holds there is a wondrous thump and a flapping madness descends to earth. I savor the moment and remember how Kota would work the bird. 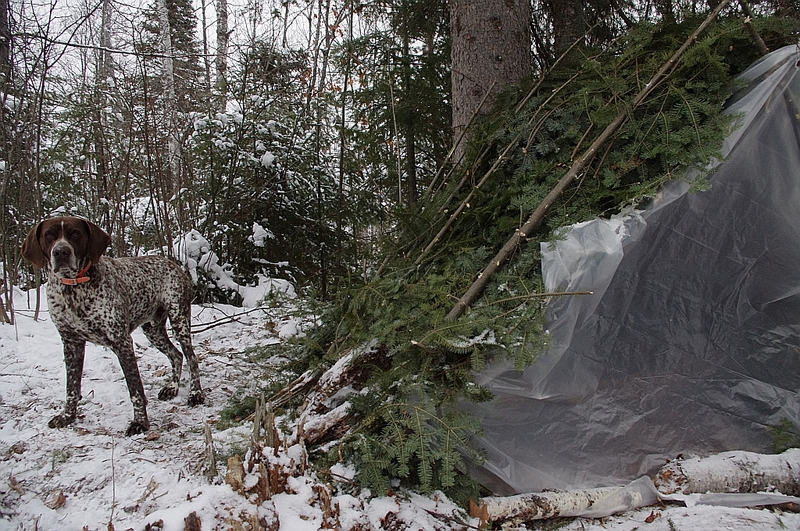 Now I just walk to it and collect it as the silence returns to the woods. Sometimes in the silence between the breezes and the falling leaves I hear things just beyond the edges of hearing. I'll stop and hold, listening for what I thought I heard. Sometimes I think I see a flash in the brush, turning here or there but always it seems my eyes are late to the place. My heart will skip a second and then a jay will call or the wind comes again. I walk on, waiting for a bird to rise. I'm sure my old bird dog is running timber edges too, and flushing birds of his own, a toothy grin after the fact as he waits patiently for me. beautiful writing. found you at gorge's grouse. I've been there. It's tough losing good friends. Well said. Beautiful pup and bird. 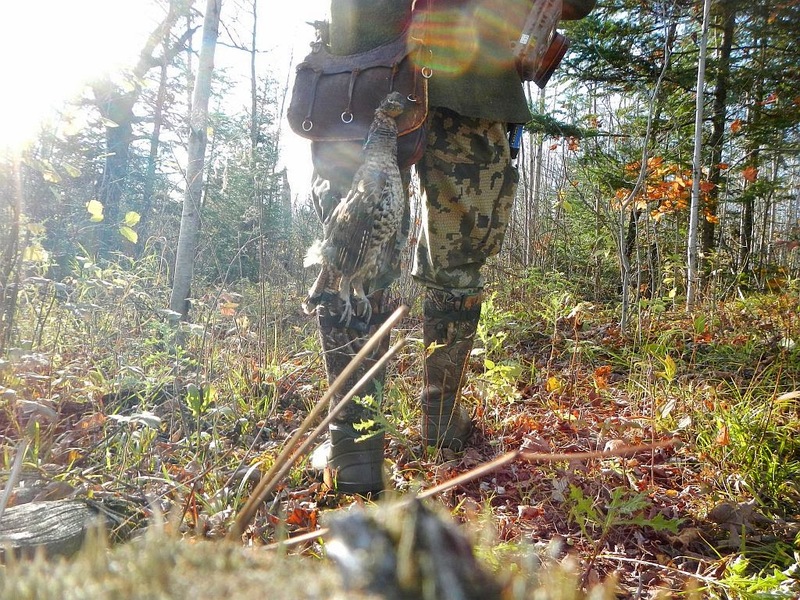 Saw this linkbon Gorges grouses blog...not a hunter but can relate to the loss of a furry friend all to well...great post. Class. You are total class. Fab views all around. A truly magical place! I love forest .Do you live in Montana?